After reading this post you will know the infrastructure of the nervous system and which part you want to engage for optimal recovery. 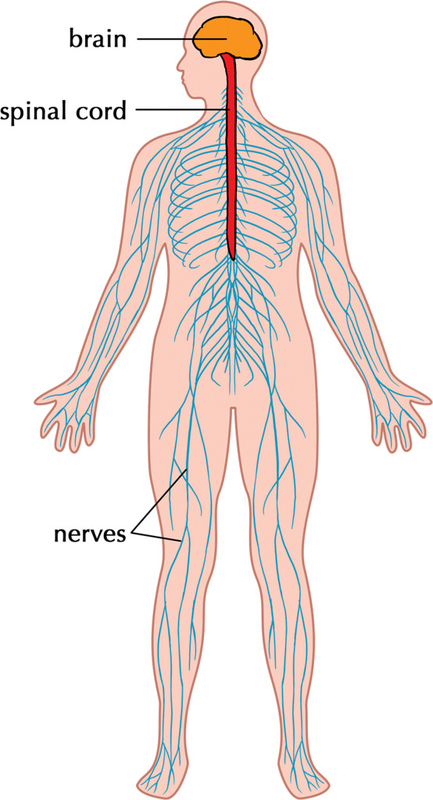 The nervous system consists of 2 parts: the central nervous system (CNS) and the peripheral nervous system (PNS). This part of the nervous system consists of the brain and spinal cord and is protected by the skull and the spine. The CNS receives all the information detected by the peripheral nervous system and undertakes action by guiding the PNS when needed. This is all we need to know for now, this post mainly focuses on the PNS. The PNS consists of all the nerves running from organ to organ and organ tot central nervous system. It is responsible for all the neural communication between those organs and the CNS. The PNS starts with the spinal nerves leaving the spinal cord, the fibers on the front (anterior part) are efferent nerves sending information from the CNS to the organs. The posterior (backside) part consists of afferent nerves who sent information from the PNS to the CNS. Put simply: the afferent nerves sent information upwards and the efferent nerves sent information downwards. We own 31 spinal nerves: 8 cervical nerves (coming out of the neck), 12 thoracic nerves (chest/ribs), 5 lumbar nerves (lower back), 5 sacral nerves (tailbone) an 1 coccygeal nerve (lowest part tailbone). Within the PNS we make a distinction between the autonomic en somatic nervous system. The somatic nervous system is often referred to as the voluntary nervous system because we can control it voluntarily. This part of the nervous system is responsible for movement of the body by contracting muscles and receiving feedback from joints and tendons. This constant loop of feedback and adaptation gives you the ability to control the movement making it smooth and safe. Acts as the name says autonomously, and for years researchers thought you were not able to control it voluntarily (good news: they were wrong read THIS). The autonomic nervous system is always active by controlling vital functions as heart rate, blood pressure, digestion, breathing, sexual arousal and others. 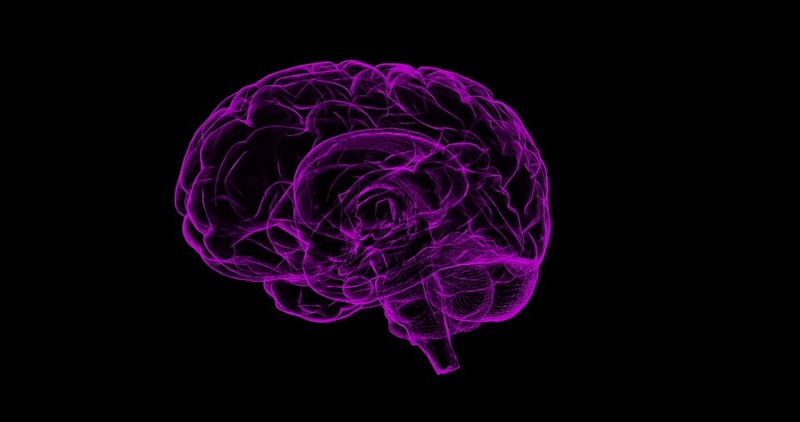 The hypothalamus regulates the autonomic nervous system, this part of the brain sits on top of the brainstem en makes decisions based on the information given by the limbic system which is next to it. Inside the limbic system most of the processes are based on emotion, this is why being scared has such a big effect on blood pressure, breathing, pulse etc. Within the autonomic nervous system we make a distinction between the sympathetic and the parasympathetic nervous system. Sympathetic nervous system (SNS), the stress system. The SNS is responsible for the ‘fight or flight response’ also known as a stress response, meaning that whenever in danger your body will be ready for action in a split second. When a lion walks in right now your body will be primed to undertake action to make you ready to fight or flight. The SNS does that by raising your pulse, dilating your pupils and increasing tension in your muscles. Part of those effects are due to nor-adrenaline and adrenaline which gets released when the SNS is activated. A other effect is restricting blood flow toward organs and increasing blood flow towards muscles, lungs, the brain and the hart for optimal performance. 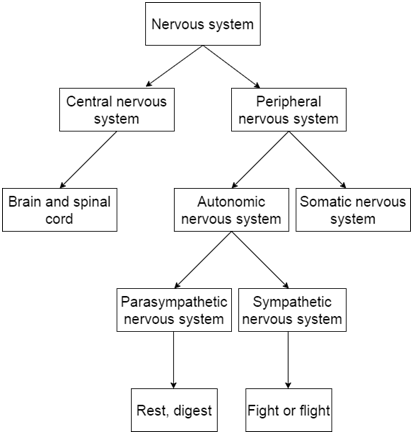 Parasympathetic nervous system (PNS), the rest system. The PNS is the opposite of the SNS, they are Jekyll and Hyde. The PNS is responsible for ‘rest and digest’ and gets activated during resting. Saliva release, tears, sexual arousal, digestion and toilet visits are all his responsibilities. But also tissue growth and tissue repair are two very important tasks for the PNS, without PNS activity there is no muscle gain. To get better/faster/stronger you need both systems working properly at various times. During training your SNS is activated giving you focus, raising pulse/blood pressure and increasing blood flow toward your muscles. Without SNS activity there would be no training. During rest your PNS is activated for digesting food to regain energy and repairing the tissue damage you made: without PNS activity there would be no recovery. When there is not the right balance between those two systems there is no gain: you will not become better/faster/stronger. Click HERE to learn how to activate the PNS to reduce stress and speed up recovery. The effect of compression garments for athletes.